Gadsden, Alabama – Sixth Street in East Gadsden is now open providing access to the RiverTrace Retail Development from U.S. 431. This is the culmination of a several month long construction project to finish this additional access for the RiverTrace project. The competition of the 6th Street project will give drivers better and safer access to the East side of the complex and will enable future development to begin at RiverTrace. 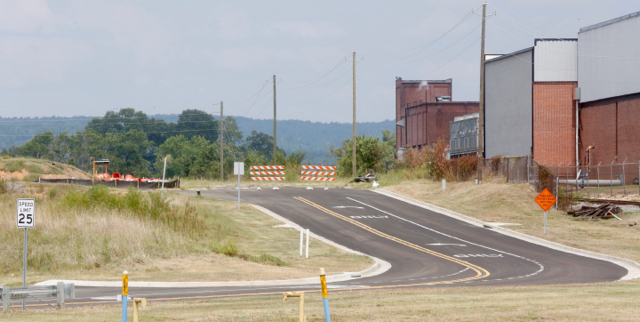 This project has been managed by the City of Gadsden Engineering department. Contact Heath Williamson, Director of Engineering, 256-549-4520 hwilliamson@cityofgadsden.com with further questions about the project.